The weather in NH was perfect today. It ended with an evening on the back patio. 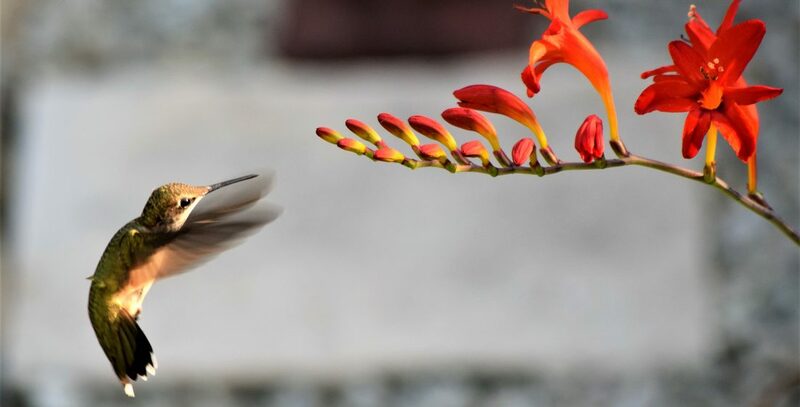 It was magical to watch the male, ruby-throated hummingbird visit every 3 – 4 minutes between 8 and 8:30pm ET. 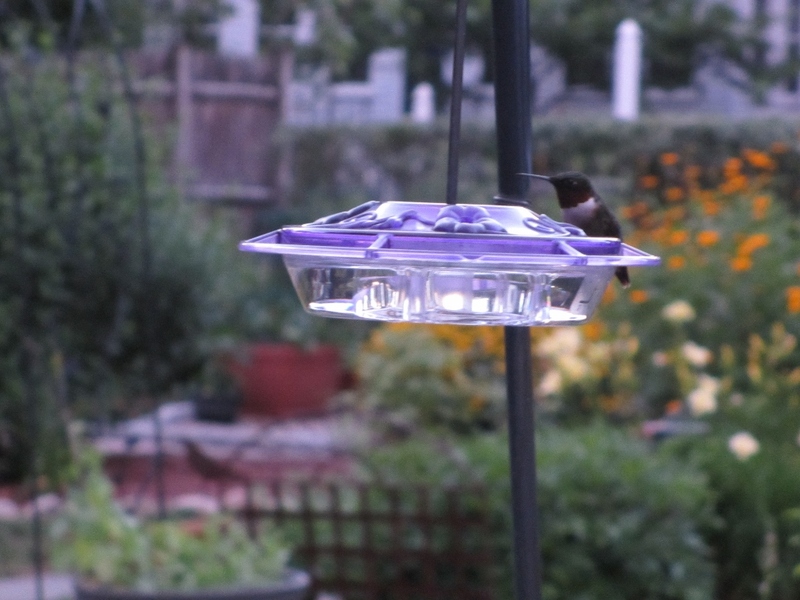 Successful Hummingbird Watch in the garden tonight! 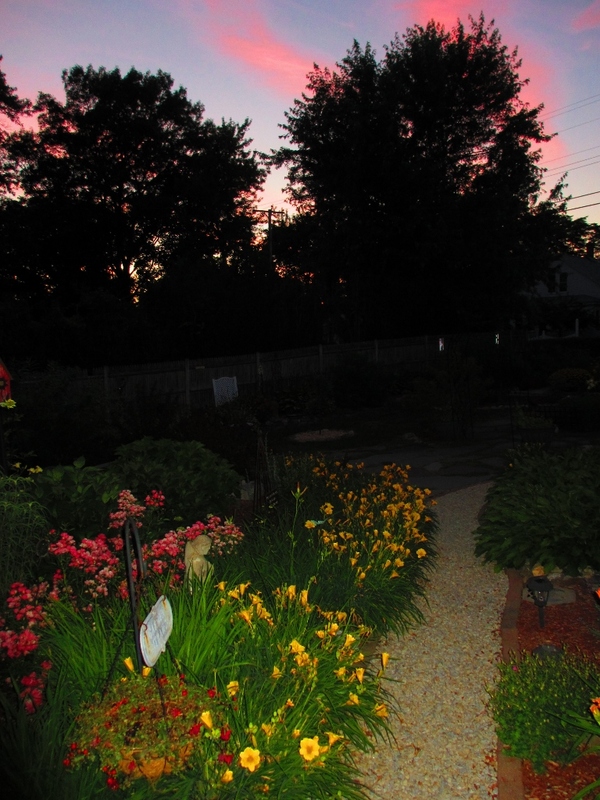 It was even more magical to see a gorgeous sunset that made the garden glow tonite. Our gorgeous, glowing garden sunset. Stir with ice for 2-3 minutes. Pour over freshly sliced, cold cucumbers (preferrably from your own garden or local farm) and enjoy! 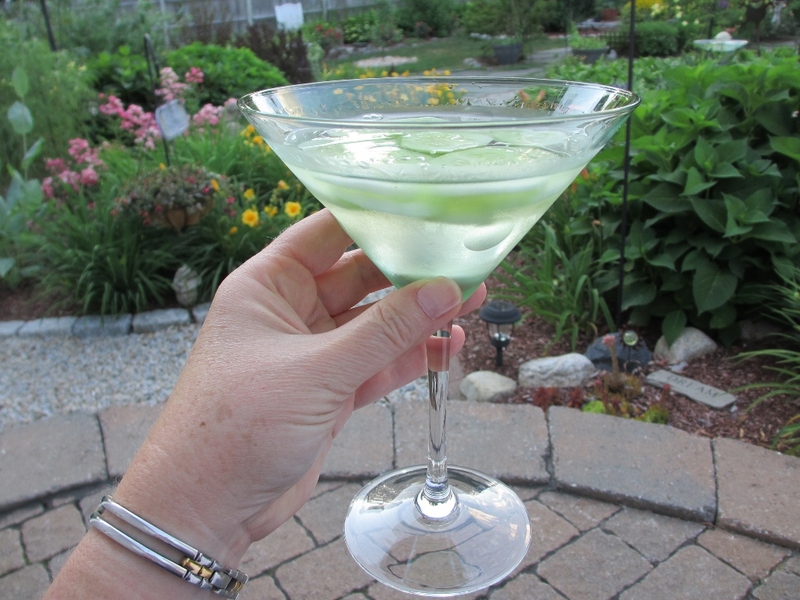 Categories: Gardening Inspiration, Uncategorized | Tags: cocktails, cucumbers, Gardening, hummingbirds, NH, sunsets | Permalink.